Robot maids? Voice-activated appliances? Automatic meals? The smart home of the Jetsons, America’s favorite space-age family, is hovering ever closer to reality. And in 2016 it will arrive on our doorstep. Devices like the Roomba, Echo, NFC-labeled recipe for microwaves, Nest, Ecobee Thermostat, Siri and more have made their way into our homes, adding convenience to our lives. What’s next? Here are five areas where I predict the home will get smarter in the coming year. The smart home ecosystem will strengthen. In 2016, cooperation will accelerate, with more players making technologies compatible via digital handshakes, where we should see more smart connected home devices from living room to kitchen to bedrooms – and access to homes. For instance, NXP recently partnered with multiple Gateway solution providers across the globe, such as Connected Object in Europe, Harman Kardon globally and Greenwave Reality in North America, to design the industry’s most advanced Smart Multi-Protocol Home Gateway. The gateway is technology agnostic, interoperable to enable multiple consumer services for safety, convenience and energy savings. These kinds of partnerships are vital to convincing consumers that there is value in the smart home. Once the big ecosystem players truly “interoperate,” the feedback loop will shift positive and each new generation of smart home devices will make additional devices even more compelling and convenient. Smart devices will evolve from nice-to-haves to must-haves. Sure, a network-connected Wi-Fi coffee machine that can be remotely activated via a smartphone is a nice to have – it means a hot cup of house blend will be waiting for you when you get home. But it’s one of the must-have devices and services that will drive the market forward and bring the nice-to-haves along with them. Services like home security and energy management are critical because they offer the consumer the most value. For example, knowing your kids are home leaves you less worried, or saving energy helps your pocketbook and the environment. What’s more helpful if devices can talk, work and sync together to save dollars? The leading edge of the securely connected devices in a home, all working together to help, assist you running the house in most safer, efficient and convenient manner, gives you more time to spend with your family. Big data will find its place. This is the year when big data will start pitching in and helping out in the smart home. Until now there have been trials and experiments around big data. In 2016 we should see serious players leveraging big data and analytics to offer meaningful services to consumers. For instance, vendors will track real-time data on your comings and goings to set your thermostat automatically and drive better energy efficiency. 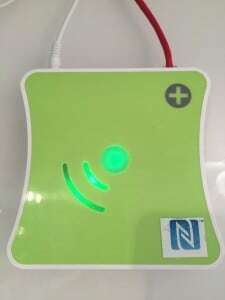 A great example of technology that can do this is NXP gateway solutions, which leverages a network of sensors and big data, irrespective of the wireless technologies, to make smart decisions about whether or not to open windows, turn on or off the heating, or activate the security system. We’re moving into a brave new world where vendors have clear insight to our needs and preferences and can deliver ever-smarter products and services. But they cannot offer real value until the big data piece is in place, which is happening as we speak. You can’t expect your grandmother to buy a smart lightbulb if it means she has to fiddle with the WiFi router or manually connect the lamp to a home gateway. If the setup process is even remotely technical, the smart home will never happen in a big way. We’ve been focused on building solutions to help device manufacturers simplify the smart home for consumers. Making it as easy as tap to install and commission a smart device is required. That’s why we integrate our world-class NFC technology in our smart home products and solutions for product makers. Tap-and-go NFC technology makes it simple to commission, de-commission, troubleshoot and service any smart device. NFC will emerge as one of the most important technologies of 2016 because it’s the easiest way to set up devices in the home. Voice control will be heard. We’ve seen the emergence of voice-enabled devices and this trend will continue to pick up speed in 2016. I believe voice enablement, voice activation and context sensing with voice are all essential to the smart home and will greatly speed consumer adoption. Voice is very intuitive. Most consumers would rather control a device with their voice than with buttons, switches or apps. That’s why voice is now being embedded into an increasing number of smart devices, including the TV remote. We’ll also see the rise of voice context sensing, which is when a device can sense a particular voice or sound and then take action based on what it has heard. For example, the sound of a window breaking might trigger an action via your smart home security system or a crying baby might trigger a notification to a parent in another room. Smart homes are the future. And the future is finally here. Smart home devices and services will become more functional, more convenient and thus more prevalent in the coming year. And we at NXP are bringing life changing and highly innovative technologies to make a smart connected and secure world.